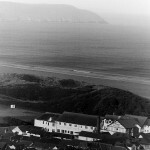 These images taken of Woolacombe were done using a Pentax SP1000 35mm camera. This camera was my father’s, who bought it from new in the 1970s. All Pentax Spotmatics (SP) use the M42 screw-thread lens mount. The lenses are focused at maximum aperture to give a bright viewfinder image for focusing, then a switch at the side stops the lens down and switches on the metering to enable the exposure to be set prior to shutter release. I’m really getting into lens flare which is usually caused by a very bright light source, either affecting the image or shining into the lens, which produces a haze. 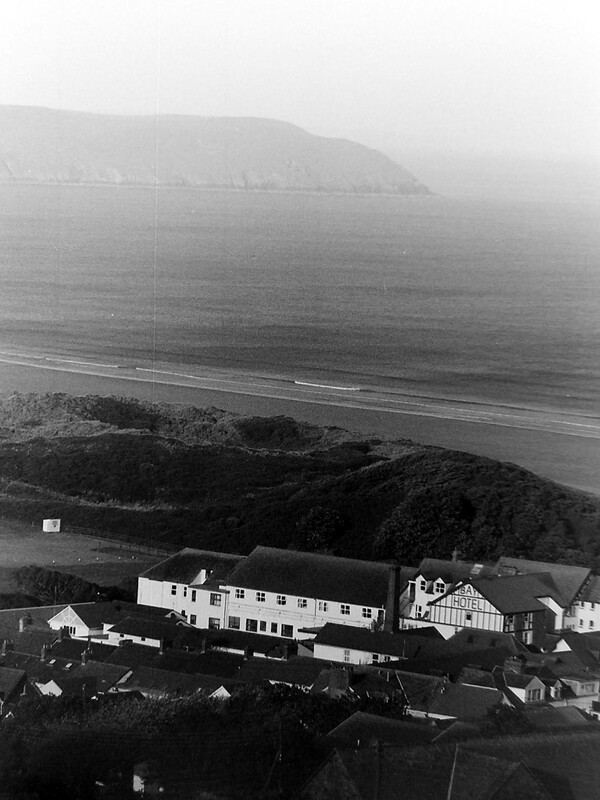 I also like the slightly over cooked vintage feel of these images, scratches, dust, and fibre strands -35mm film is far more fun than digital. 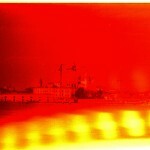 I shot a roll of film on an old Pentax P30. 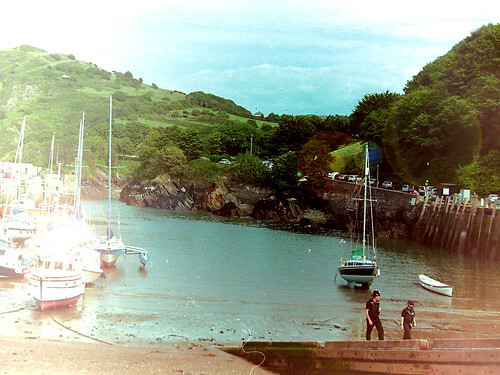 The results were not as satisfying as those taken with the Pentax SP500. I couldn’t seem to get the quality. 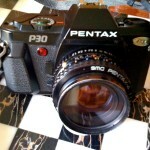 The Pentax P30 is an SLR and uses manual focus lenses with the K-mount bayonet fitting. The original lens had a small button on it which turned it into an automatic camera, the light meter flashed options in the view finder. At about 510 grams, the camera is lightweight, with shutter speeds from 1/1000 of a second to 1 second. The automatic mode on this film camera chooses the best shutter speed and aperture setting to give the novice photographer (me) the best possible chance of taking a good photo. It also has a semi-automatic mode as well, which chooses most of the settings but allows for more creativity. There is also a totally manual setting for the brave. 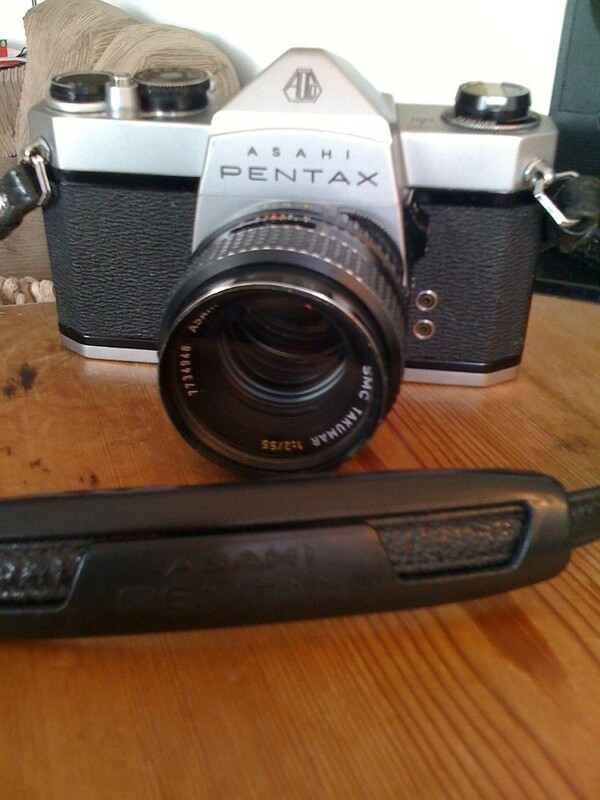 I have just bought and received via eBay a Pentax SP500 camera. I put a new battery into it and the internal light meter worked straight away. Unlike the Pentax K1000 you need to switch the light meter on using a switch on the camera body … Continue reading ? 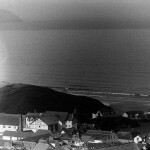 Taking photographs with a film camera again reminded me of the simple pleasures I had messing about with making images in a darkroom – it is a shame I have become so uninspired. 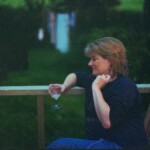 There is something a bit odd now about not wanting my photographs instantly. The anticipation of developing them or collecting hard copies from a processing store is now exciting. 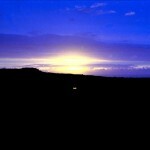 The instant gratification of a digital image is somehow disappointing. Which is bizarre because 30 years ago I dreamed of instant quality. When the first Pentax Spotmatic was introduced to the public at the 1960 PHOTOKINA, photographic fair, in Cologne, Germany, it attracted the instant and close attention of photographers and photographic engineers alike. 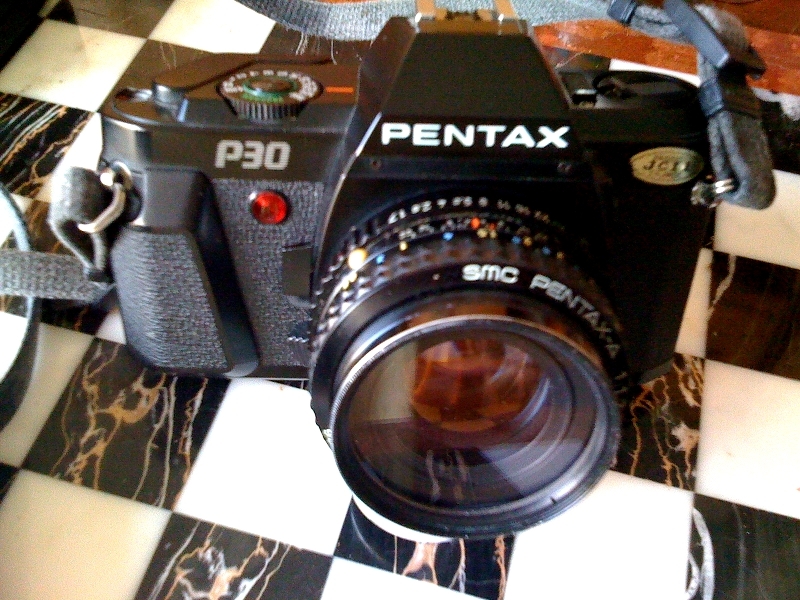 I have just bought and received via eBay a Pentax SP500 camera. I put a new battery into it and the internal light meter worked straight away. Unlike the Pentax K1000 you need to switch the light meter on using a sliding switch on the front of the body. Pentax cameras of this era came with fantastic standard multi coated lenses. The one I purchased came with an original Takumar 1:2/55mm lens, a great lens that is flexible and precise. As I have previously mentioned, I haven’t used a 35mm camera for years. 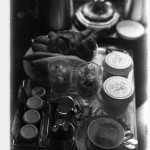 I took my old, trusty Pentax K1000 with me to Venice on the Orient Express and took some black and white shots of the train…. 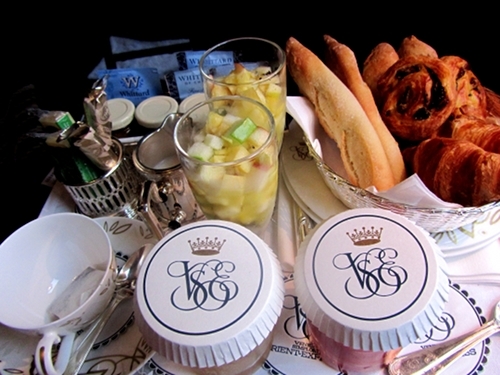 The images below are of breakfast on the Orient Express, which is served to passengers in their cabins. 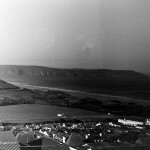 I processed the film in the darkroom at West Buckland School. I’d remembered most of the processing guidelines I’d learnt in the 1970s and I had a foolproof instruction sheet, with timings for the Ilford HP5 (400 asa) etc. – nothing could go wrong. 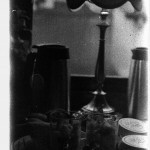 Half way through processing the film I noticed a chink of light coming in from below the door – the film was ruined but here are a couple more photographs that might be interesting? The Pentax K1000 (originally marked the Asahi Pentax K1000) is an interchangeable lens, 35 mm film, single-lens reflex (SLR) camera, manufactured by Asahi Optical Co., Ltd. from 1976 to 1997, originally in Japan. It uses a horizontal travel, rubberized silk cloth focal plane shutter with a speed range of 1/1000 second to 1 second, along with Bulb and a flash X-sync of 1/60 second. It is 91.4 millimetres tall, 143 mm wide, and 48 mm deep, and weighs 620 grams. 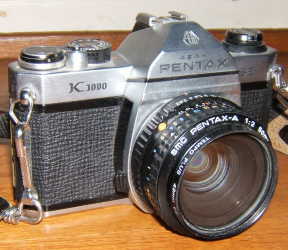 The body was finished in black leather with chrome trim only, although early production Pentax K1000 SE bodies had brown leather with chrome trim.